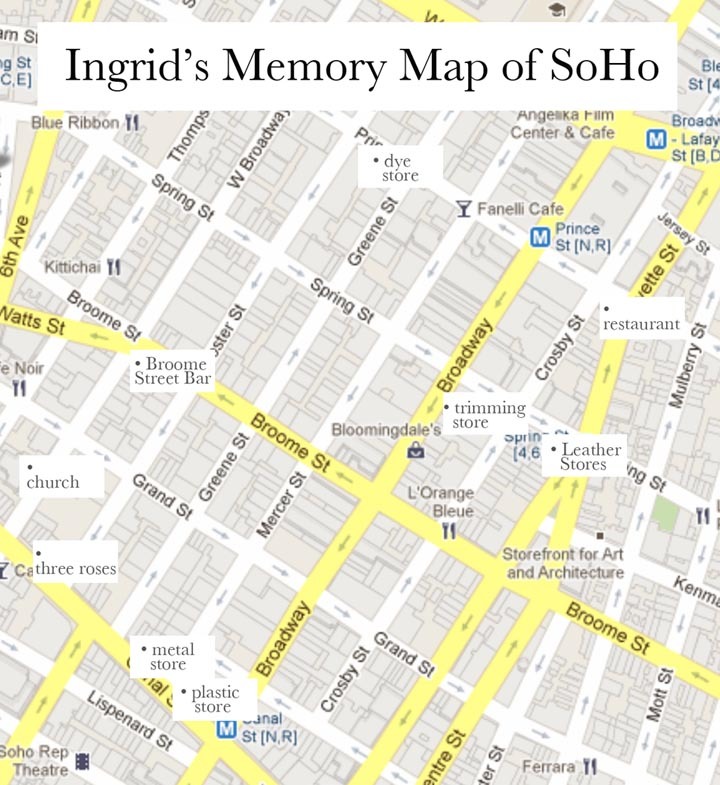 Mapping Memories | SoHo Memory Project. This week I've decided to try something a little different. To commemorate my dear friend Ingrid's departure from New York City after being here for 36 years, I interviewed her about places in SoHo from her everyday life that do not exist anymore. I edited the clips together (very) roughly to create a sort of oral history map. Videos of her talking about her experiences working at the restaurant Food and about living on the Bowery have appeared on this blog in the past. Ingrid came to New York at the age of 35 with her daughter, Anna. A single mom, she made a living as a designer, first of clothing, then jewelry, and finally suede-covered books, always making her items carefully by hand. She is also a photographer with a keen eye for hidden expressions of humanity. She taught me to be curious and inquisitive (we dissected a groundhog that was shot on a farm once, but that's another story all together! ), and she took me on excursions around New York City, showing me the ins and outs of places I would have never otherwise seen. I will miss you, Ingrid, and New York will miss you too. Your unbridled enthusiasm to see, hear, taste, smell, and feel the city was infectious. You loom large in my SoHo memories. 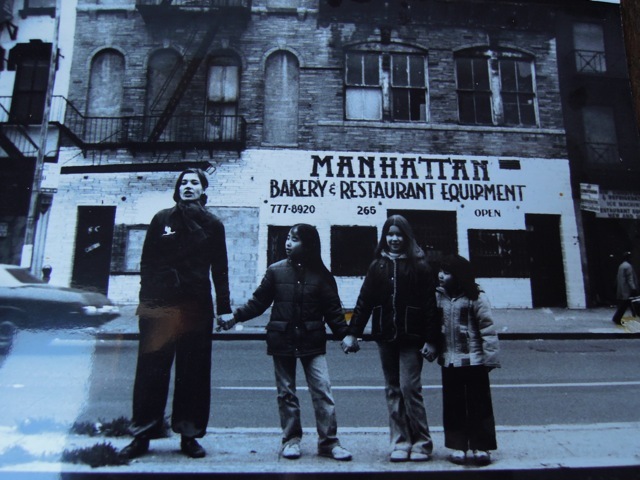 Thank you for sharing some of your own SoHo memories with us.